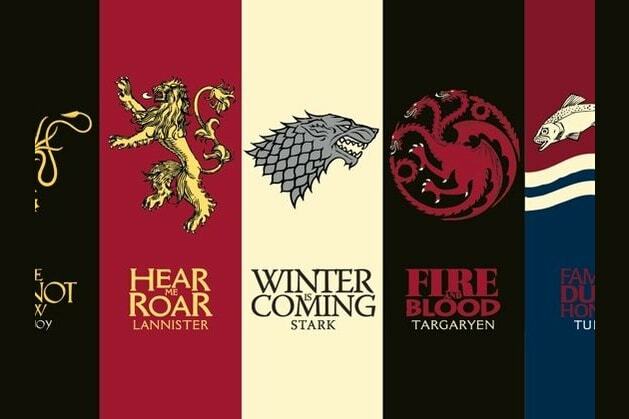 What's Your Game Of Thrones House? Your family has arranged a political marriage for you. Do you go through with it? Uh oh, your betrothed turns out to be a murdering little psychopath. What do you do? Uh, not marry them? Obviously? Congratulations, you get a mentor! What skill do you want to learn? A friend of yours has just committed a terrible crime, and the law says you must execute them. Do you do it? Hey look, the Iron Throne is empty! What's your strategy? Time to choose your home - King's Landing, or a secluded stronghold? What kind of fight are you better at - words or fists? Which do you hate more - the freezing cold or the scorching heat? Which are people more likely to accuse you of being - too cold-hearted or too emotional? And last but not least - how do you feel about lots and lots of social interaction? Hey, guess what? You're rich! Congratulations. You can buy all the wine and pleasant company you want, which is very useful as the life of a Lannister isn't exactly stress-free. You are ambitious, good at politics, and generally loyal to family members, at least in public. But you're also under a lot of pressure, so when things go wrong, they can go VERY wrong, very quickly. Maybe consider investing in a privy door with a lock? The good news is, you're a thoroughly decent human being. The bad news is, that is a very dangerous thing to be in Westeros. You are loyal, dutiful, and generally ill at ease among the toxic politics of King's Landing. Either buckle down and learn to play the game, or get the hell out into more hospitable environments. The North may be freezing, but it also has notably less backstabbing which, bless your little heart, is not exactly your strong suit. Ah, the Tyrells. So pretty, so sweet, so delightfully ruthless underneath. You're not just good at playing the game of thrones, you enjoy the hell out of it. Where others grab their swords, you hand out alms and patiently draw up marriage contracts. But you also have your family's back, and they have yours - it's the rest of the world that needs to watch out for your thorns. You are charming and clever. You are also as close to progressive as Westeros gets, believing in such strange concepts as women inheriting property and children having the right to not be tortured for their parents' mistakes. Really, you have everything going for you except for the grudge-holding and the cockiness - for the gods' sake, take the time out of your day to stab your opponent twice, OK? I don't care how dead he looks. You're a little intense, aren't you? You're proud, confident, and bold, sometimes too much so - which is understandable, considering you have centuries of dragon-fueled monarchy in your family history. Just…listen to advice sometimes, OK? And keep an eye out for any mental instability, you may not have the, ahem, *healthiest* genetics. *No actual psychological correlation guaranteed. Please don't be sad. Unless you DO own a murder dungeon, in which case please seek help ASAP.